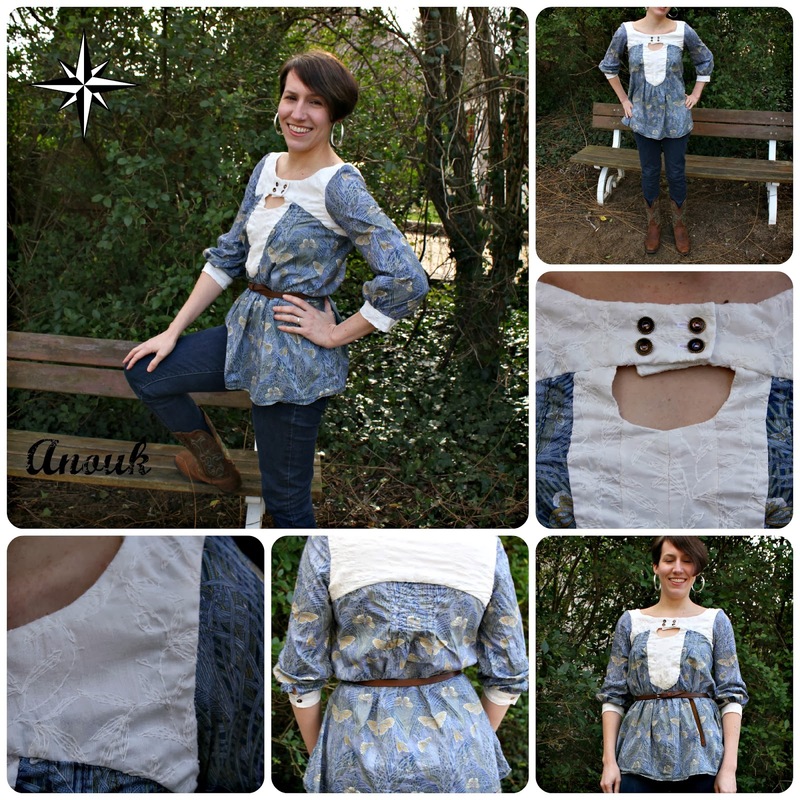 The Anouk by Victory Patterns: this shirt has been finished for at least a month. I've just been waiting for some sunshine to peek its head so that I could take photos. I made version 2, the tunic. I cut the bust along the 35 1/2 cm. pattern because the finished size is 37 1/2 cm, which is my size. I perhaps could have gone up a size because it is tight across the shoulders and upper back. Although I think next time I'll use the same size and simply take out less fabric with the back pin tucks. I paired a white, embroidered fabric that I got from my friend Indira with an Alexander Henry fabric called Oxford Butterfly. I think it's a cotton lawn from the Fulham Road collection. And I used vintage buttons that I bought on Etsy. I am definitely making more versions of this. I'd like to make the dress, both with and without sleeves. And I'd like another version of the tunic. I guess you could say that I'm pretty happy with the pattern! The overall effect is a little more prairie girl than I was going for. I played it up deliberately here for the pics, with my cowboy boots. But I had originally thought the result would be more sophisticated. Still, I like it. I've already worn it nearly once a week since I finished it. I normally pair it with a belt, as above, because otherwise I think it makes me look pregnant. I included a picture in the collage, just so you can see the difference. As far as technical remarks, I don't really have any. I think the pattern is well-drafted and the instructions are well-written. I'm a fan of the brand and I got myself several patterns for Christmas: the Ava and the Nicola. But honestly I love all the patterns! This is so cute! I love it on you! 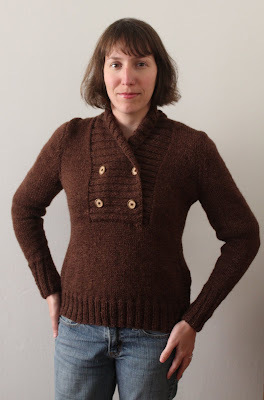 I'm really a huge fan of Victory Patterns- I'm thinking I should download this one! It turned out amazing!! Such a nice details! It looks good on you and really suits you. I like that the white makes the details pop. I love this tunic. Such nice details. Really pretty and very interesting design-wise. Awesome, I love it, great job! Oh, it's lovely! Such a cute pattern and I love your fabric choice!